16:00 h – 18:15 h Auditorium, Palacio del Nuncio. 18.30 h - 19.45 h SESSION B. Prof. Benjamín Íñiguez, Chair. 18.30 h - 19.45 h Auditorium, Palacio del Nuncio. SESSION C. Prof. LLuis Marsal, Chair. This talk will address the various technologies for large area electronics, and in particular, review oxide semiconductors and associated design approaches, along with driving schemes for circuits and systems. The driving schemes used are largely designed to compensate degradation in TFT parameters, such as threshold voltage, under bias and light stresses. One of the key requirements for design of large area systems is physically-based circuit models. This requires good knowledge of the underlying transport mechanisms in the TFT, and in particular, the associated density of states and field-effect mobility (µFE). We will present a simple and compact analytical description of the current-voltage characteristics of oxide TFTs in the above-threshold and sub-threshold regions for expedient circuit simulations. Both regimes are described by single unified expression. The model accurately reproduces measured characteristics of oxide thin film transistors, yielding a scatter in the average fit of less than 5%. Based on this, design of key circuit building blocks for large area electronics will be presented, in particular, with focus on analogue applications. Professor Arokia Nathan holds the Chair of Photonic Systems and Displays in the Department of Engineering, Cambridge University. He received his PhD in Electrical Engineering from the University of Alberta. Following post-doctoral years at LSI Logic Corp., USA and ETH Zurich, Switzerland, he joined the University of Waterloo where he held the DALSA/NSERC Industrial Research Chair in sensor technology and subsequently the Canada Research Chair in nano-scale flexible circuits. He was a recipient of the 2001 NSERC E.W.R. Steacie Fellowship. In 2006, he moved to the UK to take up the Sumitomo Chair of Nanotechnology at the London Centre for Nanotechnology, University College London, where he received the Royal Society Wolfson Research Merit Award. He has held Visiting Professor appointments at the Physical Electronics Laboratory, ETH Zürich and the Engineering Department, Cambridge University, UK. He has published over 500 papers in the field of sensor technology and CAD, and thin film transistor electronics, and is a co-author of four books. He has over 50 patents filed/awarded and has founded/co-founded four spin-off companies. He serves on technical committees and editorial boards in various capacities. He is a Chartered Engineer (UK), Fellow of the Institution of Engineering and Technology (UK), Fellow of IEEE (USA), and an IEEE/EDS Distinguished Lecturer. Polymer solar cells are one of the new generation of photovoltaic devices that can constitute an alternative to classical solid-state solar cells. These cells are based in the junction of two different polymer semiconducting materials, one donor and one acceptor. The most efficient devices to date are the bulk heterojunction cells, obtained from a mixture of the donor and acceptor materials, which provides an enormous interfacial surface. However, this mixture has the drawback that not all the generated electron-hole pairs find path to the electrical contacts as the mixture can contain donor or acceptor portions isolated from the electrode. An alternative are the ordered bulk heterojunction cells, where the interface is nanostructured in order to increase the interfacial surface and we have a complete contact with the corresponding electrode. In this work we present the results of different techniques to fabricate devices with the nanostructured donor/acceptor interface: using of nanoporous anodic alumina templates to obtain nanopillar ordered bulk heterojuntion devices or nanoimprinting techniques to increase interfacial surface with nanopyramids and nanowells structures. The efficiency of the fabricated devices is studied in terms of their geometry and of the properties of the different semiconducting materials used. Furthermore, numerical modeling methods have been developed to study the impact of the different geometrical and material properties in the efficiency of each step of the energy conversion. Prof. Lluis F. Marsal received the Ph.D. degree in physics from the University Politecnica de Cataluña, Spain in 1997. 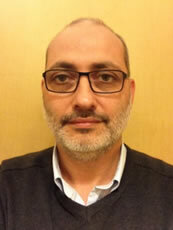 Since 2009, he is full professor at the University Rovira i Virgili, Spain. Between 1998 and 1999, he was Postdoctoral Researcher at the Department of Electrical and Computer Engineering, University of Waterloo, Ontario, Canada. His research interests are in nanophotonics and optical biosensors based on porous silicon and alumina and organic and hybrid materials for optoelectronic devices. He has co-authored more than 180 reviewed scientific publications at peer-reviewed journals and conferences, 1 book, 2 book chapters and holds two patents. He has presented over 20 invited lectures in international conferences and participated in over than 50 projects. He was a visiting fellow at different universities and research centers. Prof. Marsal serves as member of the Distinguished Lecturer program of the Electron Devices Society (EDS-IEEE) and as a member of Advisory or Technical Committees in several international and national conferences. 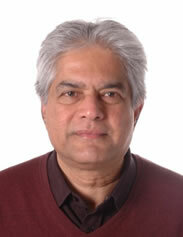 He is senior member of the IEEE and the Optical Society of America. He is also an active member of the Electrochemical Society (ECS). 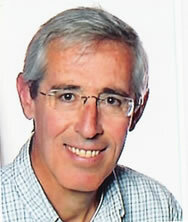 Since 2013, he is the Chair of Spain Chapter of the IEEE Electron Devices Society. In the past few decades, the field of flexible organic/polymeric electronics has advanced significantly. This has been primarily because of improvements in the quality organic/polymeric materials after processing, as well as the processing techniques and technologies. For example, roll-to-roll, sheet-to-sheet or printing technologies are being proposed as suitable manufacturing candidates because they can be carried out at room temperature, do not require the kind of clean room environment needed for traditional semiconductor manufacturing, and are very suitable for very low-cost, high volume production. Further, these advances are mostly stimulated by the promise of lighter and more robust devices and systems for applications that include large-area electronics, active matrix large-area displays, large-area solar cells, interactive displays, and conformable sensors and actuators. However, despite these advances, there remain challenges not only in manufacturing, but also in encapsulation as well as in the performance of organic/polymeric semiconductors that are the key to flexible electronic systems. Other challenges include hysteresis and contacts effects, accurate static/dynamic compact models, and improved stability, reliability, and lifetime. Here, we discuss the opportunities and challenges of flexible electronics and will highlight in detail our progress in developing industry-viable static and dynamic compact models for flexible transistors with predictable performance. Dr. M. Jamal Deen was born in Guyana, South America. He completed a Ph.D. degree in Electrical Engineering and Applied Physics at Case Western Reserve University, Cleveland, U.S.A. His Ph.D. dissertation was on the design and modeling of a new CARS spectrometer for dynamic temperature measurements and combustion optimization in rocket and jet engines, and was sponsored and used by NASA, Cleveland, USA. He is currently Professor of Electrical and Computer Engineering, Professor of Biomedical Engineering and holder of the Senior Canada Research Chair in Information Technology, McMaster University. His current research interests are nanoelectronics, optoelectronics, nanotechnology and their emerging applications to health and environmental sciences. Dr. Deen’s research record includes more than 500 peer-reviewed articles (about 20% are invited), two textbooks on “Silicon Photonics- Fundamentals and Devices” and ”Fiber Optic Communications: Fundamentals and Applications”, 6 awarded patents that have been used in industry, and 13 best paper/poster/presentation awards. Over his career, he has won more than fifty awards and honors. As an undergraduate student at the University of Guyana, Dr. Deen was the top ranked mathematics and physics student and the second ranked student at the university, wining the Chancellor’s gold medal and the Irving Adler prize. As a graduate student, he was a Fulbright-Laspau Scholar and an American Vacuum Society Scholar. He is a Distinguished Lecturer of the IEEE Electron Device Society for more than a decade. 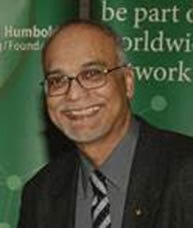 His awards and honors include the Callinan Award as well as the Electronics and Photonics Award from the Electrochemical Society; the Distinguished Researcher Award from the Province of Ontario; a Humboldt Research Award from the Alexander von Humboldt Foundation; the Eadie Medal from the Royal Society of Canada; McNaughton Gold Medal (highest award for engineers), the Fessenden Medal and the Ham Education Medal, all from IEEE Canada IEEE Canada In addition, he was awarded the degree D.Eng.-hc from University of Waterloo in 2011, the degree Doctor-hc from Universidad de Granada in 2012, degree Doctor-hc from Universitat Rovira i Virgili in 2014, in recognition of his exceptional research and scholarly accomplishments, professionalism and service. Dr. Deen has also been elected Fellow status in ten national academies and professional societies including The Royal Society of Canada - The Academies of Arts, Humanities and Sciences (the highest honor for academics, scholars and artists in Canada), IEEE, APS (American Physical Society) and ECS (Electrochemical Society). Most recently, he was elected President of the Academy of Science, The Royal Society of Canada. The present interest on pervasive sensor networks and the steady development of electronic devices with low power consumption motivates the research on electronic systems capable of harvesting energy from the surrounding environment. Currently, most energy harvesters can provide in practical cases an output power density of about 10¬–¬100 μW/cm3. In this scenario, mechanical vibrations, thermal gradients, and photovoltaics represent the most promising power sources. In this talk the state-of-the-art of harvesting sources will be described. In addition, the talk will present a series of power management systems, either in discrete or integrated electronics, specifically designed for operating with power sources at µW levels, and able to deliver extra harvested power compared with conventional interfaces. Prof. Enrico Sangiorgi received the Laurea degree from the University of Bologna in 1979. He has been a Visiting Scientist at Stanford University and Bell Laboratories, Murray Hill, NJ. In 1993, he was appointed Full Professor of Electronics at the University of Udine, Italy. In 2002, he joined the University of Bologna, where he is now Director of the EE Department “Guglielmo Marconi”. He has been Editor of Electron Device Letters, on the editorial board for the Transactions on Electron Devices and Journal of Photo-Voltaics. His research covers various device modeling and characterization aspects. Enrico Sangiorgi is a Distinguished Lecturer and a Fellow of the IEEE; he has been Chairman of the EDS TCAD Technical Committee, member of the Cledo Brunetti Award , the Education Award, and the Fellow Committees of the EDS. Prof. Tibor Grasser received his Ph.D. degree in technical sciences from the TU Wien where he is currently employed as an Associate Professor. In 2003 he was appointed director of the Christian Doppler Laboratory for TCAD in Microelectronics. Dr. Grasser is the co-author or author of nearly than 500 scientific articles, editor of books on advanced device simulation, organic electronics, and the bias temperature instability, a distinguished lecturer of the IEEE Electron Devices Society, a senior member of IEEE, has been involved in various functions of outstanding conferences such as IEDM, IRPS, SISPAD, IWCE, ESSDERC, IIRW, and ISDRS, is a recipient of the Best/Outstanding Paper Awards at IRPS (2008, 2010, 2012, and 2014), ESREF (2008), IFPA (2013 and 2014) and the IEEE EDS Paul Rappaport Award (2011). He was also a Chairman of SISPAD 2007 and General Chair of IIRW 2014.